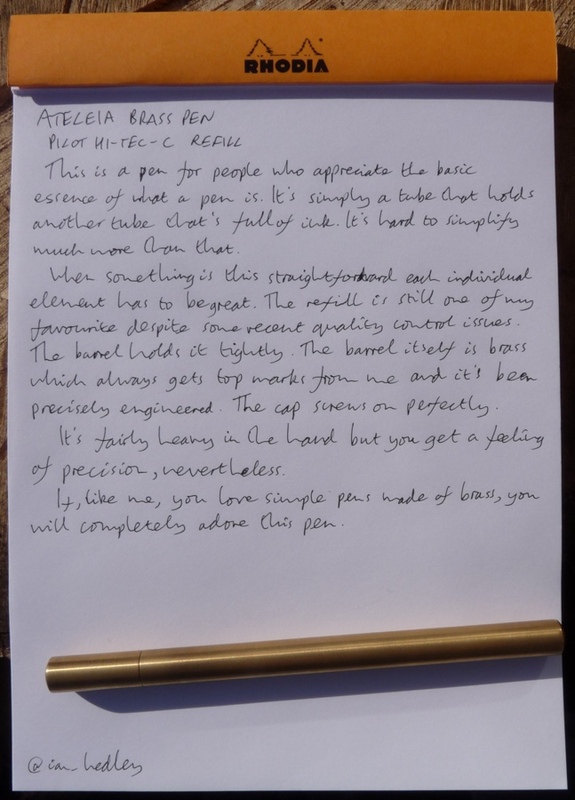 Ateleia Brass Pen Review – Pens! Paper! Pencils! 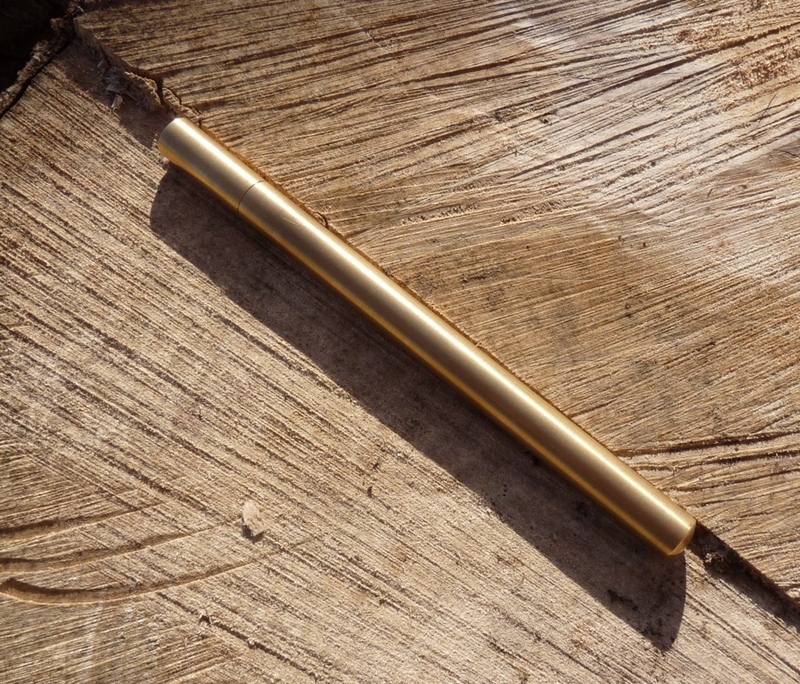 The Ateleia Brass Pen is a simple pen that will take a range of refills, depending on the inserts you buy it with. One set will allow you to use Pentel EnerGel, Uni-ball Signo 207 and DX or MonteVerde Rollerballs and the other lets you use the Pilot Hi-Tec-C, Pilot G2, Schmidt Rolling Ball or Fisher Space Refill. These are all excellent refills. The pen costs $65 or, if you’d like to be able to use all of these refills, $85. I bought mine through the Kickstarter campaign for a little less. It came with a Pilot Hi-Tec-C refill. First a note about the Pilot Hi-Tec-C. When it works, it’s still one of the best fine tipped gel ink refills there is. For quite a while it seemed like every Hi-Tec-C I tried stopped working after a page or two. Just recently they seem to be better again so I’m hoping it was just a temporary blip. Fortunately the one in this pen is one of the good ones. This is a very simple pen but it does require you to put some work in. A pair of pliers are needed to unscrew the tip and replace the refill. I know it might be weird, but I’m starting to enjoy pens that need you to contribute to their use. (The TWSBI Vac 700 being a prime example.) You almost form a relationship with the pen through your interaction with it. Quite possibly that’s just me. 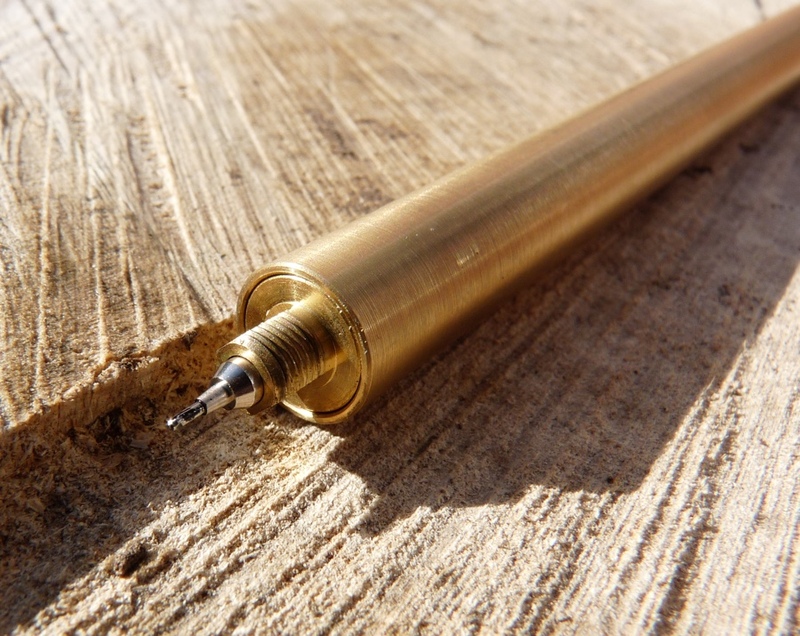 . .
Because the Ateleia Brass Pen is such a simple pen, for it to work everything has to be absolutely spot on. And it is. 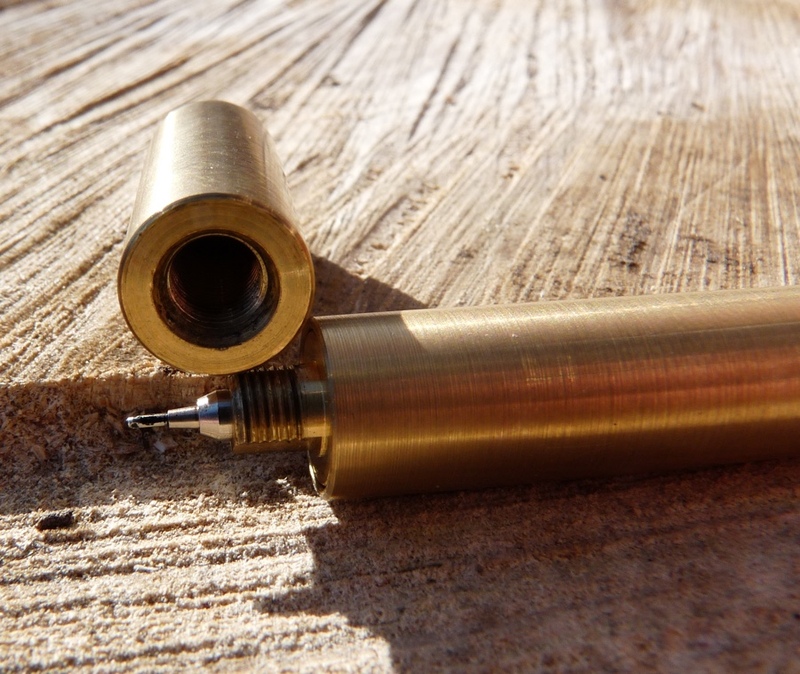 The brass barrel is wonderfully engineered and the cap screws on exactly. 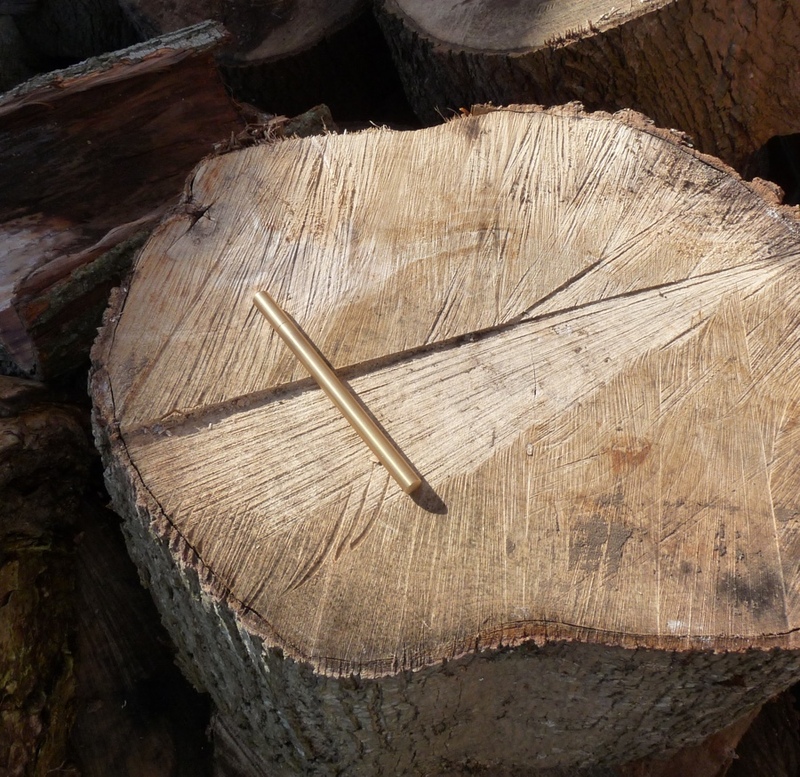 It’s beautiful because it’s precise. 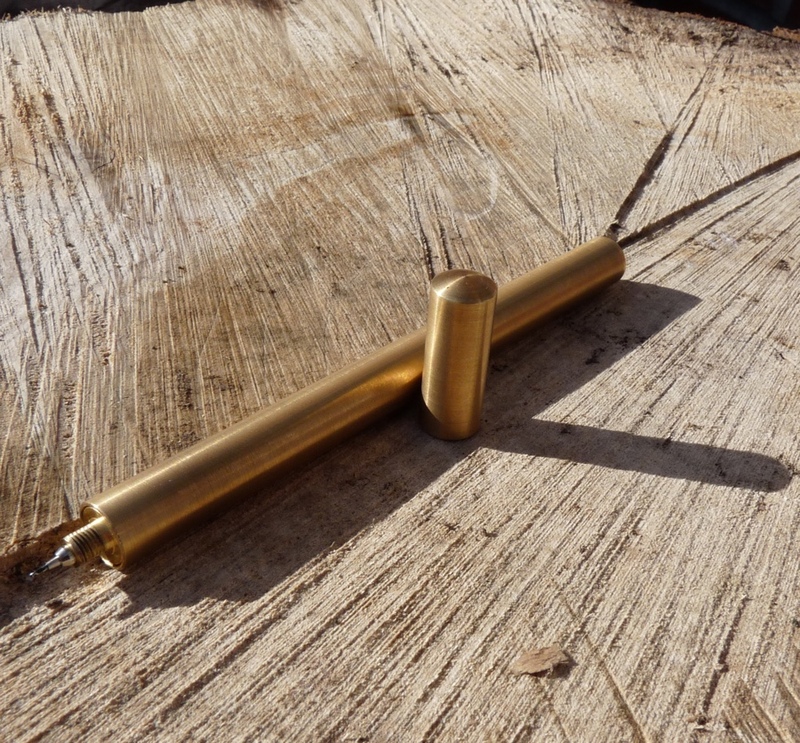 It’s a heavy pen (50 grams) but it’s made of brass so that’s to be expected. It’s well balanced and so isn’t uncomfortable. The refill is held tightly. Writing with this pen is a lot of fun. Obviously this isn’t a pen that posts and it also doesn’t come with a clip. It enjoys rolling off your desk when you’re not looking. It’s so solid it doesn’t break. On a purely objective level, this isn’t the post perfect pen out there, but that’s missing the point entirely. It’s a beautiful object that is also a pleasure to write with. 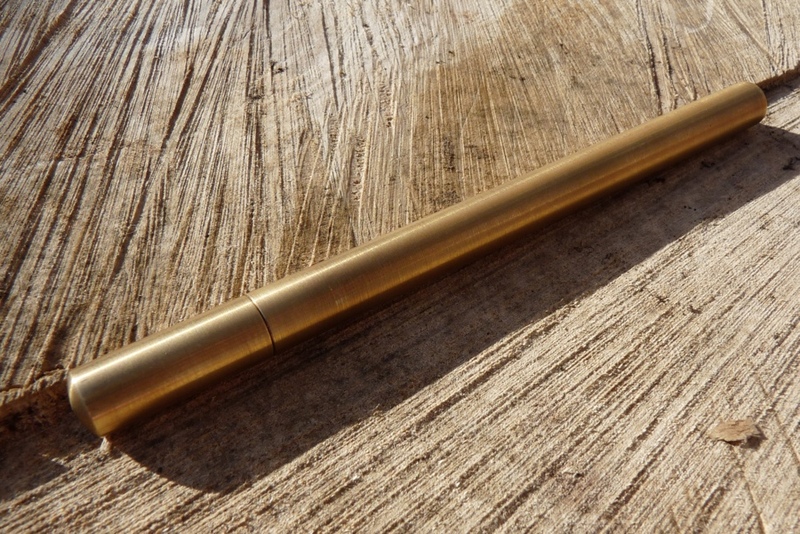 You can find some more reviews of the Ateleia Brass Pen on Pennaquod. Thanks Jimmy! Your review was great too, enjoyed reading the detail you went into.